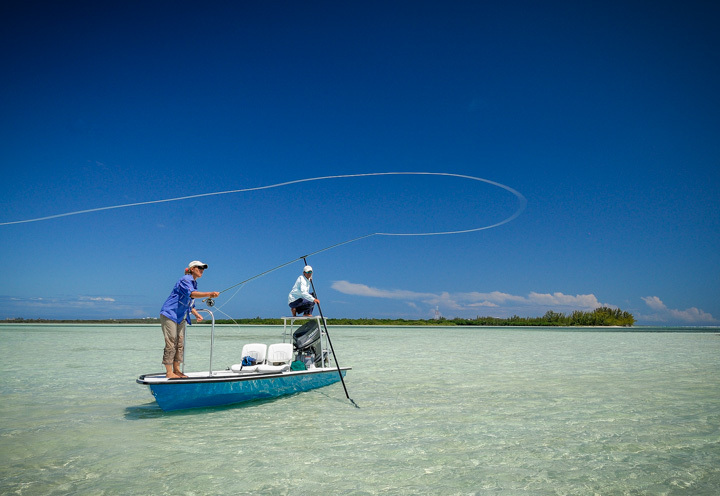 Want to learn how to cast a fly to tailing redfish? We welcome newbies here at Bill Jackson’s. Or maybe you have some experience but want to increase your casting distance. We can help with that, too. We offer private ($78, by appointment) and group ($25, second and fourth Saturdays) casting classes for anglers of all ages and experience levels. Bill Jackson’s is proud to offer a new course for private and personalized fly casting instruction with an expert instructor. During your personalized lesson you can discover and develop new skills, such as distance casting, double hauling and more. This unique course will begin with an assessment of your casting skills, careful correction of any apparent flaws, and the development of a personalized skills practice program. The cost for this program is $78 for the first person ($25 each additional) and includes all equipment, though you are encouraged to bring your own. Call the Fishing Shack at 727-576-4169 to set up an appointment. Join us on the second and fourth Saturdays of the month at 10 am for group instruction. Our fly casting instructor will take you out to the lake behind our shop to learn the basics of presenting a fly to game fish. Bring your own equipment or use ours. The cost is $25 per person. If you purchase a fly rod from us, the group casting class is free. Or if you take the group casting class and then decide to buy a fly rod that day, the $25 goes toward that rod purchase. Class size is limited, so call 727-576-4169 to reserve your spot. Visit our Classes page for the dates of upcoming classes.